Sky Sports News report that West Ham Manager Slaven Bilic has been given 48 minutes to save his job. Under-fire Crystal Palace boss De Boer is immediately installed as the odds-on favourite to replace the Serb on Sky Bet. 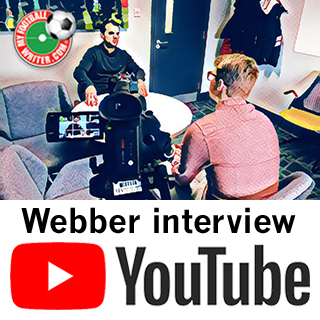 At Colney, Norwich Head Coach Daniel Farke asks Sporting Director Stuart Webber if the club are going to make any more signings. He’s disappointed with the answer but decides ‘not to go too deep into it’. Riyad Mahrez boards a private plane at East Midlands Airport. “Where to?” asks the pilot. 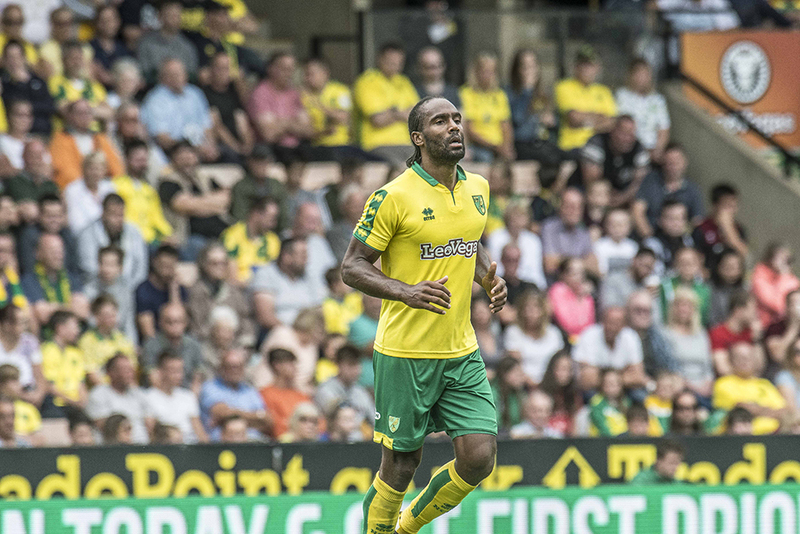 Sky sources understand that Derby County have had a bid accepted for Norwich striker Cameron Jerome. The Yellow Army reacts – “Club’s a joke. Jerome is a 20+ goal a season striker at this level”. Norfolk Constabulary cordon off area between Carrow Bridge and Koblenz Avenue and confirm that anybody seen publically simulating a sexual act or brandishing an adult toy will be liable for prosecution. Piers Morgan implodes up his own backside in reaction to Arsenal selling another under-performing player who doesn’t want to be at the club and who could leave on a free transfer in 9 months’ time anyway. Riyad Mahrez’s plane touches down in Rome. A photo appears on Facebook of someone with a passing resemblance to Cameron Jerome eating a Ginsters pasty outside the petrol station at Guyhirn on the A47. It goes viral (the photo, not the pasty). First confirmed #ncfc pun of the day on social media with news that ‘City will sign FarkenNobody’. Sky Sports News report that Birmingham have registered an interest in Norwich goalkeeper Gunn. Flight FK-0FF from Basel to Norwich International Airport appears on the flight tracker app prompting rumours that prodigal son Ricky Van Wolfswinkel in returning to Carrow Road. 43 paparazzi photographers with lenses trained on the Range Rover outside of ‘Arry Redknapp’s house, await any sign of movement from within. The signing of Nahki Wells to Burnley brings Premier League spending to over £58 billion. Redknapp finally gives the media its money shot by pulling over to address the assembled reporters from the seat of his Range Rover; “The lad Gunn is one we’re looking at but we’re a long way from that one so it looks unlikely. I’m more hopeful on Niko and Crouchy”, he confirms. Reports surface of Nelson Oliveira’s agent, walking the streets of Swansea holding up a shirt up and pointing at his client’s name on the back whilst shouting angrily at anyone who passes by. SkyBet suspend betting on Oliveira moving to Swansea. The Yellow Army reacts – “Club’s a joke. Nelson is a 40+ goal a season striker at this level”. Riyad Mahrez’s plane touches down in Paris. Cameron Jerome drives towards Derby at some speed but completely misses the turning. Flight FK-0FF from Basel to Norwich International Airport disappears on the flight tracker app somewhere near Fulham. Paris St Germain lodge a £125 million bid for Jonny Evans. Jim White’s reaction to the ‘news’ becomes a staple part of every ‘Football’s funniest moments’ programme until the year 2035 (2045 on Dave). Norwich City winger Matt Jarvis signs the plaster cast on his injured ankle. Riyad Mahrez’s plane touches down in London where he’s greeted by Peter Odemwingie. Jamie Cureton becomes Billericay’s record signing at the age of 52. Redknapp confirms that the Gunn he was trying to sign for Birmingham was not Angus but Bryan who “still has a lot to offer”. However he states that he has been unable to make contact with the former Norwich stopper. Waiting times at A&E at the N&N hospital increase past the 4 hour mark due to an influx of thumb strain injuries caused by refreshing of social media. Nelson Oliveira scores for Portugal. His agent immediately charters a flight to Paris. Bryan Gunn decides to move his phone contract from previous sponsor Digital Phone Company to something with more reliable coverage and signal. BBC Norfolk’s Rob Butler and MFW’s Mick Dennis engage in a heated Twitter spat about the quality of pie available in stadium bars. Rob blames Delia. Mick doesn’t. Police confirm that two men have been arrested on Carrow Bridge for public disorder. A purple weapon is confiscated at the scene. Sky Sports report that Derby County’s interest in Norwich striker Cameron Jerome has formally ended. Sky’s man at Old Trafford gets permission to call it a night and goes for a kebab. Dave, from Hellesdon, who has been waiting patiently for the arrival of flight FK-0FF from Basel at Norwich International airport finally accepts that the last ten hours of his life have been a complete waste of time and goes home. Stoke sign someone. Even Jim White can’t feign any enthusiasm. And with that the 2017 / 18 summer transfer window ‘slams shut’. Brilliant! Love the (2045 on Dave jibe). Really think a left back should have been a priority for us. Really missing someone like Dijks and its a real shame Jamaal Lewis got injured. He looked sharp. Hopefully Klose and Hanley will form a solid pairing and if its a back three put Zimmerman in too. Still feel with just Stiepermann and Husband as left back options that flank will be a real weak point and Webber & Co should have tried their hardest to strengthen it. Just 121 days and it all starts again should change the closi g date to April 1st. Some people belive all they read and some get up tight because their club either sells players they want to keep or keep players they want sold and worse is buy players that they think are no worth the amount paid. City only signed a striker for the under 23s gasps moans and disbelief that we haven’t spent a fortune on another CB or proven striker for the first team, how many more CB do we need, Hanley is an experienced CB at this level and possible in the Premiership not flashy just a good British CB. We all wanted another option at striker and I would have hoped if we had sold CJ or Naismith one would have been purchased with the incoming funds now is not the time to throw out recrimination on SW about what could have been now we know what we have so lets get behind the team and hope for better results starting with Birmingham. In the new reality of our finances, the package for Hanley does amount to “spending a fortune”. There’s a delicate balancing act between planning for a sustainable future if we stay in the Championship – hence the strengthening of our under-23s – and giving us the best possible shot at promotion this year. During the last few days, it was clearly decided that the chance of success this year required a strong, experienced CB with leadership qualities. I agree what was spent on Hanley is a large commitment for City and by no means was I advocating that city should go into dept for transfers unless it is an emergency, and yes we needed an experienced championship CB. I probably expressed my self wrongly above I was trying ti indicate to one and all that now transfers are over for 121 days (via sky) we need to focus on what we have. Unless SW is looking at players that are still available and not signed up by any club. Just seen that Gary Holts ex playing partner is a free agent and has scored lots of goals in this league by the name of Ricki Lambert.